We're committed to helping marketers own every customer experience. We provide exceptional design and seamless integration with CRM tools, membership systems, shopping solutions, online banking, marketing automation and other systems. 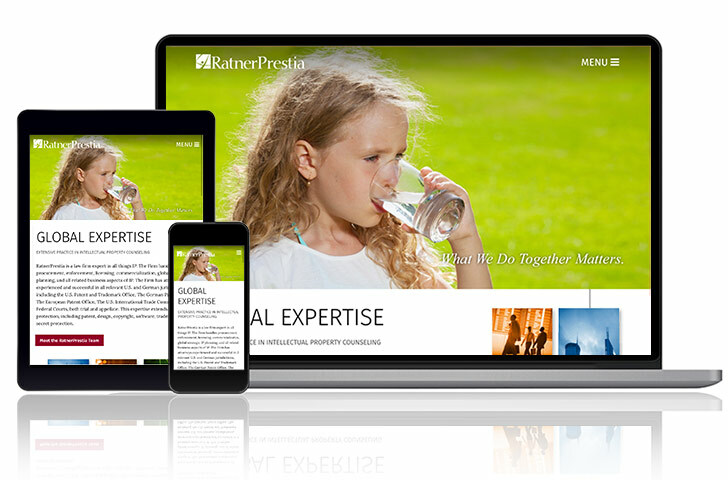 It’s time to replace your static "brochure" website with a truly engaging experience. A responsive website with video, dynamic content, secure payments, contests, surveys, rewards, live chat, social media feeds and more. Your new website will not only delight your customers, it will also deliver a higher level of performance to meet your marketing goals. Come talk to us at Digital Eye. We’ve been quietly building great custom websites and mobile apps for some of the top organizations in Delaware and throughout the Mid-Atlantic region. Creating great experiences - it’s what we love to do! Just launched! 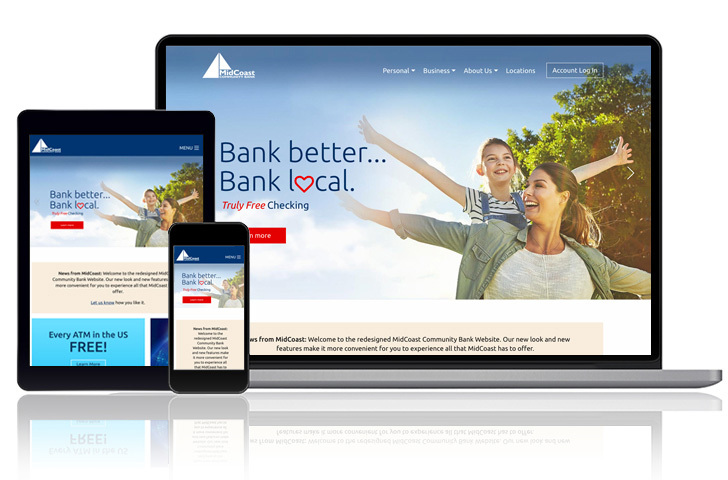 MidCoast Community Bank is growing fast, and they needed a new high-end website. They chose the Digital Eye team because of our extensive experience creating great bank websites. (This is our 14th bank website.) The new website highlights all the great things at MidCoast, the people, their connection with the community and their positive spirit. You’ll see why so many people are switching to MidCoast. –And you can use every ATM in the US for free! RP is a large intellectual property (IP) law firm with offices in three US cities and Munich, Germany. We worked closely with their team to create a website that fits the firm's brand and provides a wealth of information through news, blogs and case law updates. 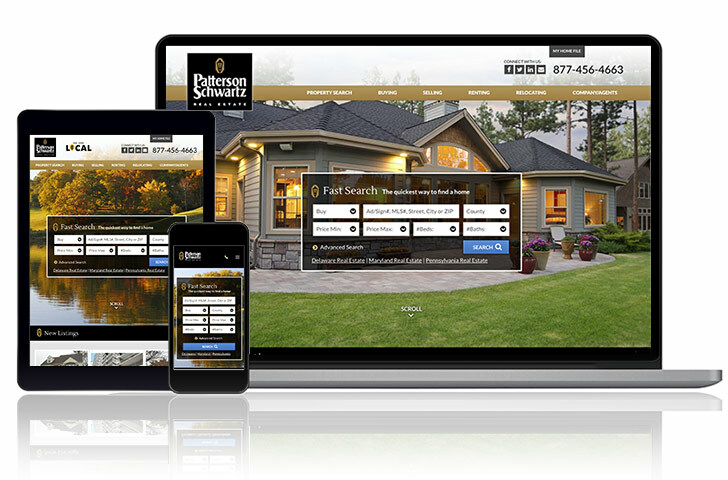 Delaware’s leading real estate company, serving the region since 1961, Patterson-Schwartz wanted to make finding a home easier and more enjoyable. 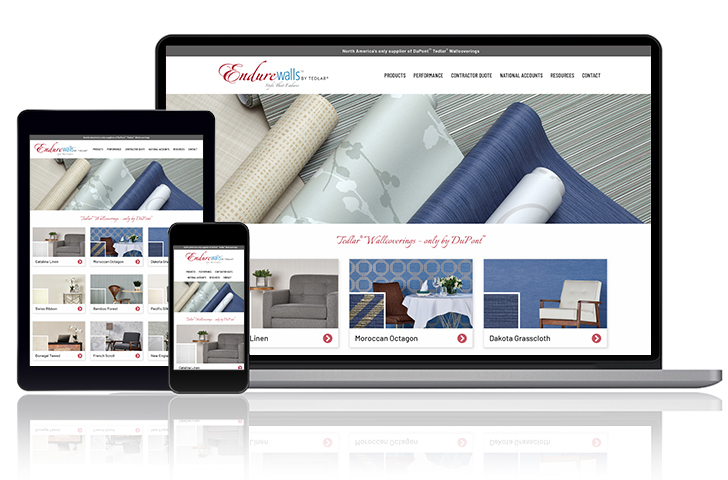 We worked with their database developer to create a great solution in a device responsive website that offers large photos and detailed information beyond their competitors. 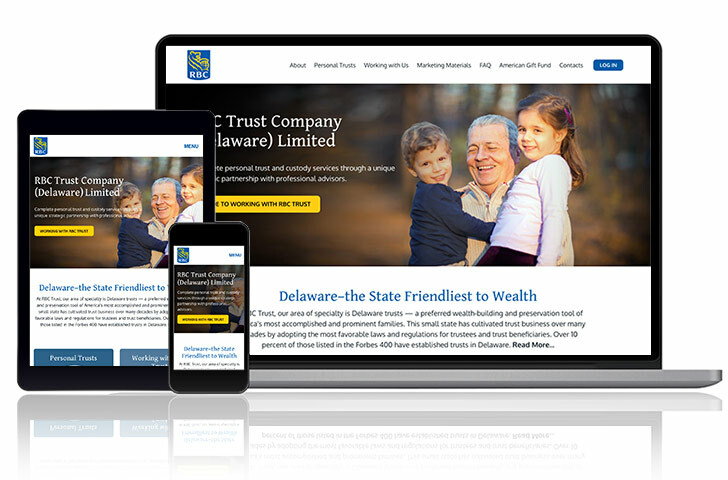 RBC Trust specializes in Delaware trusts - a preferred wealth-building and preservation tool. They were looking for a clean layout for highlighting their personal trust solutions, expaining their dedication to their clients and for making their marketing materials readily available online. One of the premier caterers in the area, Food for Thought offers a wide variety of choices made with the finest, fresh ingredients. 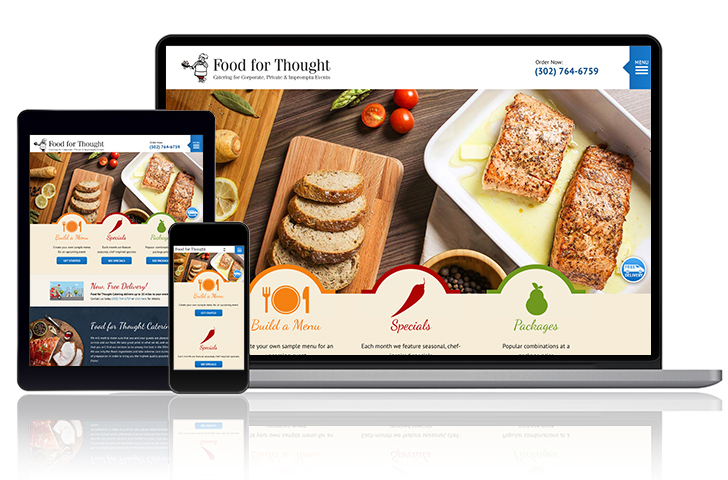 They wanted to provide a way for customers to easily build a menu for any event. The custom solution we created makes it a piece of cake! 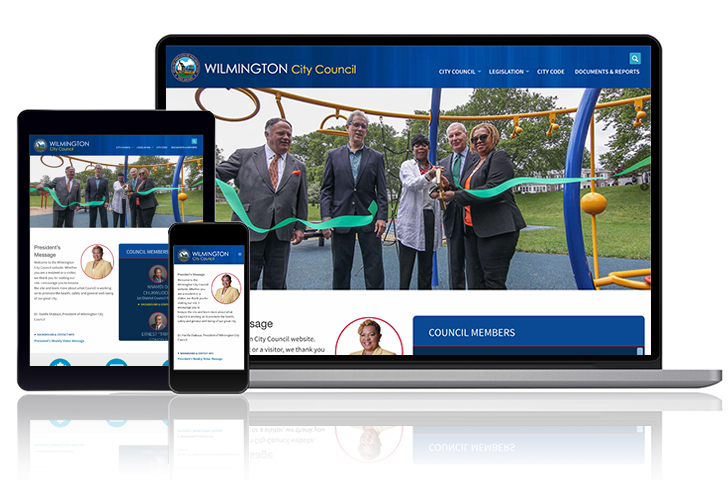 The Wilmington City Council wanted a website to help them connect with the community and make it easy for their constituents to follow council agendas, meetings, legislation and news. We created an easy to use website that is also easy to maintain and device responsive. 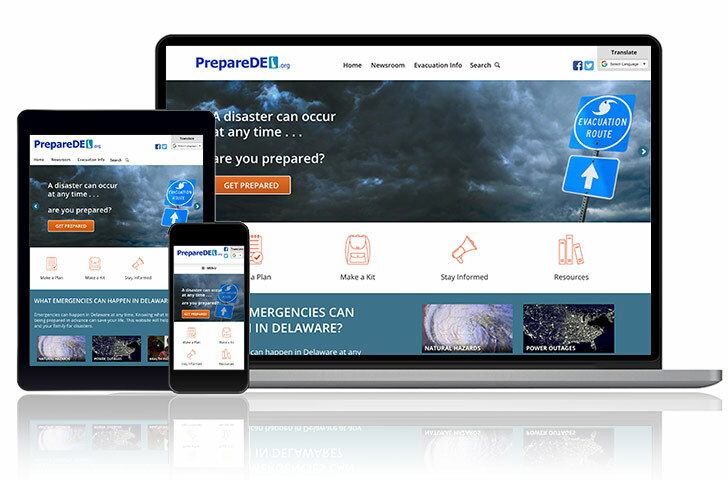 PrepareDE.org has one concern - making sure you’re prepared for disasters that could happen in and around Delaware. We helped them to provide information that people need to make a plan, make a kit and stay informed in the event of an emergency. We designed and developed a responsive website that provides quick and easy access to information from phones and PCs. EndureWalls is an innovative new venture, and is the exclusive supplier of DuPont™ Tedlar® Wallcoverings in North America. The website we created is designed to showcase the features of this high-performance product for architects and interior designers. 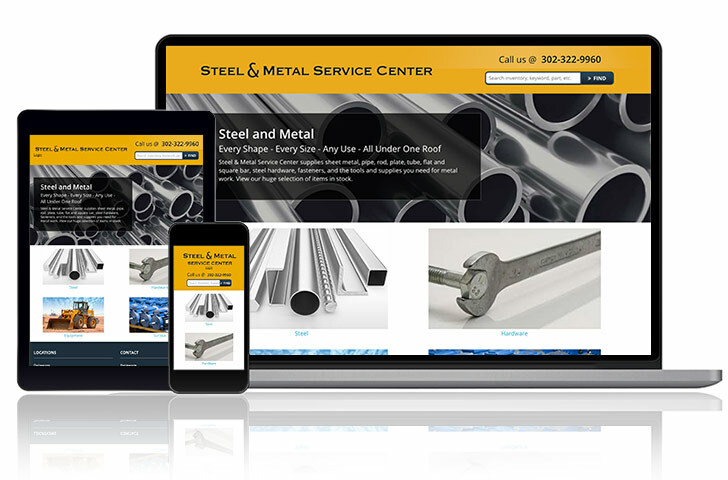 The Steel and Metal Service Center carries every type of metal, piping, rods, sheets, tubes, hardware and fasteners that you could imagine for metal work. They wanted to have a platform and database set up to highlight their huge selection of items available, along with a quick and easy way to request a quote for products. Chandler Funeral Homes & Crematory has served the Wilmington, DE community since 1892. They wanted their website redesign to highlight their services and resources that help families through the important decision-making processes. 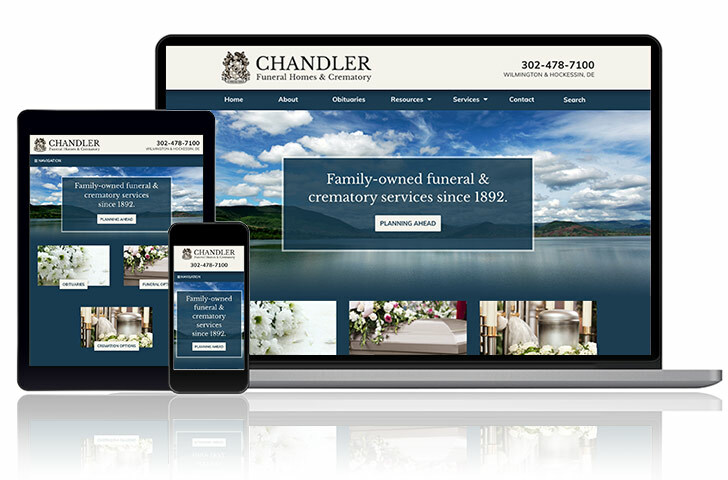 We worked with Chandler to present their long-standing heritage in an elegant way, responsive to all devices.